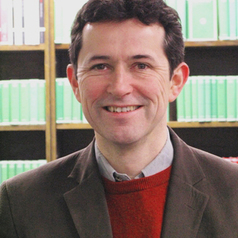 I am the Director of Studies in Classics at Churchill and an Affiliated Lecturer at the Classics Faculty. My research looks at Roman cultural history, with a focus on trying to look at history 'from below'. Feel free to contact me via e-mail. • "Barbers, barbershops, and searching for Roman popular culture," Papers of the British School at Rome, 2015. • "The intellectual life of the non-elite," in Lucy Grig (ed. ), Popular Culture in the Ancient World, Cambridge University Press, 2016. • "Social relations and constructions of social identity among Roman non-elites," Oxford University Press, Oxford Handbooks Online, 2015. The Day Commodus Killed a Rhino: understanding the Roman games (Johns Hopkins University Press, 2014). My book Homer's Turk: How Classics Shaped Ideas of the East (Harvard University Press, 2013) shows how historians and travel writers have used classical sources to help create various images of Islam and the Orient. In Roman Disasters (Polity, 2013), I look at the important role that disasters played in Roman life and culture, ranging from floods and fires to warfare and famine. I started looking at this in a chapter of my popular culture book, Common Scents, Common Senses, trying to see how different a sensory world the non-elite inhabited. I have edited a book, A Cultural History of the Senses in Antiquity (Bloomsbury, 2014), which looks at the senses from a wider perspective. I have also contributed a chapter on "Smell and Christianity" to a volume edited by Mark Bradley on Smell in Antiquity (Routledge, 2015). I think the Roman non-elite as a whole had a lot of mental health issues but faced and expressed them in a completely different way from the modern world. A chapter of my Popular Culture book looked at this, while a chapter of the Disasters book looks at the psychological effect of these traumatic events. I have also contributed a chapter based on this to William Harris' edited book on Mental Disorders in the Classical World (Brill, 2013). • A Cultural History of the Senses in Antiquity (ed.) (Bloomsbury, 2014). • Roman Disasters (Polity Press, 2013). • Homer's Turk: How Classics Shaped Ideas of the East (Harvard University Press, 2013). • Popular Culture in Ancient Rome (Polity Press, 2009). • Leisure and Ancient Rome (Polity Press, 1995). • The Day Commodus Killed a Rhino: understanding the Roman games (Johns Hopkins University Press, 2014). My books have been translated into twelve languages: Chinese, Dutch, French, Greek, Japanese, Korean, Polish, Russian, Spanish, Taiwanese, Thai and Turkish. After completing my PhD in Classics at Cambridge, I spent 10 years as a Fund Manager in the City of London, where I managed US$15bln in global bond, currency and asset allocation funds, before returning to the ancient world in 2006.